Game developer Appeal has just announced that a remake of its 1999 title Outcast will be released this fall. However, Game Director Yves Grolet did not specify a precise launch date. The reboot was supposed to have come out in March, but the developers asked publisher Bigben Interactive for more time to work on the AI and combat system. The original game was something of a sleeper on release. When the game launched in 1999, it received relatively good reviews. Gamespot named it "Adventure Game of the Year for 1999" and IGN gave it a review score of 8.5. Despite the good press, it only sold 400,000 copies of which a mere 50,000 units were picked up in the United States. Even with such weak sales, Appeal had planned and started a sequel but went bankrupt before it could be finished. "We are paying close attention to the combat system and AI to bring an experience worthy of the best action games." Outcast – Second Contact, as it will be titled, is not the first time that the adventure game has seen a refresh/reboot. While Outcast may not have initially done well, it did pick up a cult following, which led to its re-release in 2010. At that time, the Outcast community provided some patches to fix some performance issues and improve the resolution a bit. In the meantime, Appeal picked up the pieces, bought back their IP from Atari, and started working on a real reboot. Even after a failed Kickstarter campaign to generate funding for the remake, Appeal was able to release Outcast 1.1 on Steam and GOG in 2014. Outcast 1.1 improved the resolution yet again, increased stability, and added other performance enhancing features for modern hardware. This time Appeal is shooting for a proper reboot. This reboot is what the developers had in mind but did not have the funds to do when they released Outcast 1.1. 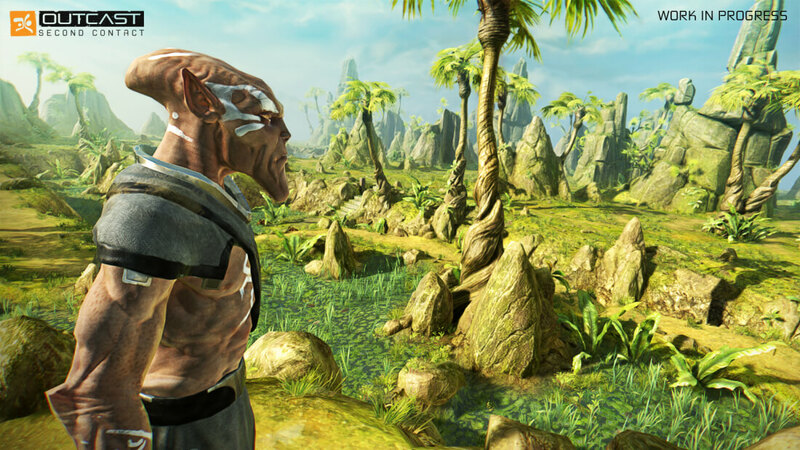 If you are a fan of the first game, you might want to check out Outcast – Second Contact. The graphical differences from the original are pretty striking as you can see from the video above. The game will be available this fall on PlayStation 4, Xbox One, and PC.